Alex McMaster and Merlin Hetherington are students at the University of St Andrews. 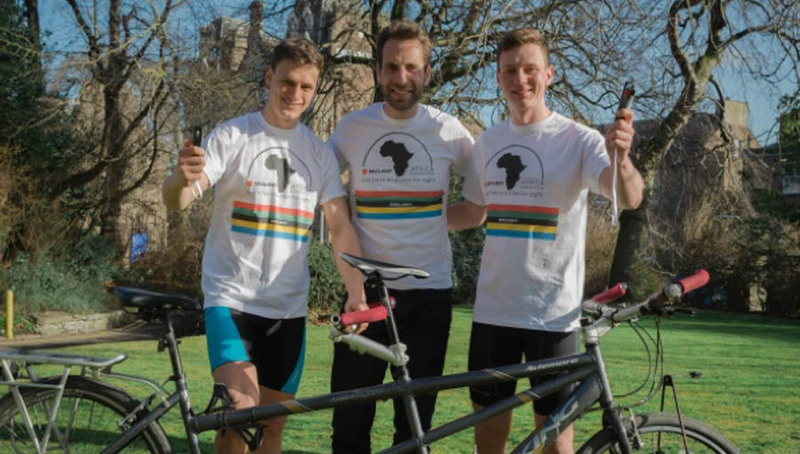 In October 2018 they will set off from Cairo on a 10,000km cycle to Cape Town. They will be travelling through parts of the African continent that have limited access to health resources, but where there is often a high burden of disease. The Arclight is a pocket sized ophthalmoscope and otoscope that performs as well as traditional devices but at a fraction of the cost. With a small amount of training, it can be used to diagnose the main causes of blindness and deafness in low-resource settings. It is solar-powered, compact and durable, and does not require expensive replacement parts like traditional devices. In the countries Alex and Merlin travel through they aim to distribute the Arclight for free and train medical students with the device. It takes one hour to train 20 people to use the Arclight. This will provide the next generation of doctors with the tools needed to combat eye and ear disease. Collective Efforts: Zanzibar’s Universal Pension Scheme & HelpAge Int.